Please read this letter when you have a quiet moment. THANK YOU. THANK YOU. THANK YOU. For coming out tonight, for taking the time to read this, for being a part of Clee Clothing’s journey. I’m truly honoured and grateful. YAAAAS. I hate the question “where do you see yourself in 5 years?”. I’ve always hated it actually. So instead of answering that, I’m going to work backwards. I’m going to look back at the past 5 years, and write for 16 year old me: “This is where you ended up 5 years later”. WARNING: I don’t have a plan before writing, I just sort of write and then stuff happens, so please forgive if it’s fragmented or random at times. I just want to give you my thoughts as raw as I can do on paper. I am not much of a writer. I recently found the letter that I put in the goodie bags at the LOST event in 2012. Reading it back was a weird experience. It was an experience of both seeing how much you’ve grown, but also shock at seeing that the feelings you described at that point, you still feel very acutely now. I’m going to quote parts of the letter below and then mark it like it’s an essay. Obviously the BOLD writing is today Clee. YAY! FUN FUN FUN. “[LOST] is my expression of the place I was at when The Rebirth came about – I didn’t know where I was going or what I was aiming for. I couldn’t see any of my achievements, let alone appreciate them. I felt like I was wasting my time, making no progress, and generally putting all my efforts into something that had no real meaning. A big problem that I hadn’t realised at the time was that I had no idea why I was doing what I was doing. My reason was “I don’t want to prove those who don’t believe in me right”, which I can now see is not good enough. Don’t worry, you come so far from feeling like you have anything to prove to anyone but yourself. OK Clee, grammar and sentence structure wasn’t great but we can work on that. I’ve got some good news though, it’s been 5 years since you started Clee Clothing. You have changed so much, but you are actually happier than you’ve ever been now. Clee Clothing is actually pretty good now. The clothes, the designs, the meanings… it’s all well thought out and the time and effort that you put into it actually paid off. Don’t get me wrong, we’ve got loads of work left to do… but I have a strong feeling you’d be happy if you could see what you’ve put together. In fact, I don’t even think you would believe it. Clee Clothing was 100% rubbish when you started it, and you had no clue what you were doing, but you know more now.. and it’s actually not rubbish at all anymore. You turned it around. Some actual real life humans have described themselves as ‘fans’. People actually wear the clothes that you make. You’ve been out in public and seen people wearing your stuff! So you creeped them out and hugged them and then cried like a baby! Hahahahaha. YOU are more confident in who you are, you’re still awkward but you’re less shy. You went through a period of caring what people think, but luckily you are back to your old ways. You have learnt a mad amount. You have amazing people in your life. You nearly explode at least once a week due to a feeling of overwhelming gratitude. Basically you are in a really good place, so thank you for making the choices that you did, and for pushing on always. 2 multiplied by 10, plus 1! CLEEBO DONE. PS. Please don’t take anything I’ve said as encouraging anyone else to not have goals – if you have goals and a passion for something and you know exactly what you want to do then that is amazing. Treasure that gift and make your journey but don’t forget to stop and evaluate then re-evaluate. But for people like me who didn’t have a particular passion or who don’t know what they want to do.. I think the point is that IT’S OKAY. It’s fine. You can still move forwards, you can still grow and get yourself to a place you want to be, even if you don’t know where that is yet. I think it’s about running with ideas, and fighting the fear and self doubt that comes so quickly after you start to give your ideas legs. It doesn’t matter if it flops, it doesn’t matter what anyone thinks. Just do you, open doors for yourself and keep moving forwards. I’ve learnt that fear will hold you back 100x more than any ‘lacks’ you perceive in yourself: like a lack of talent, creativity or ability. Also, briefly. 5 years from now: I don’t think of a place I want to be or a house I want to own, I think about the person that I want to be, and that’s what I take steps towards. This means I can be directed by my values and what I care about, because I’ve made the decision to let that be my foundation and my framework. PPS. here are some questions for you that were at the end of the old letter. I’d recommend writing down your answers so you can look back on them later and basically have the experience I had reading my old letter back. This is for you not me, so you don’t need to send me answers or anything. 1. What are you doing with your life and why? 2. Are you happy where you are, why? 3. What is it that you care about? 5. What are you afraid of and why? PPPS. I hope you had a good time tonight, thank you again for coming. Any feedback is appreciated. Tweet me @cleoforstater. BIGGGGG LOVEEEEEEE AND CUDDLES FI DEMMMMMMM!!!!!!! and the ‘I Love Ur Mum’ series, both of which were heavily copied by others. After a couple of years she wasn’t satisfied with her brand. She knew it was missing something. She gave it a lot of thought and realised that what was missing was an identity. And the only identity that it could have would be hers. It was her creation and it was her designs and skills that was the essence of the brand and that is what she needed to focus on – her own thoughts ideas and images. In February 2012 she held an event to create a Rebirth of the Brand, and brought out new themed designs that reflected her feelings about life. 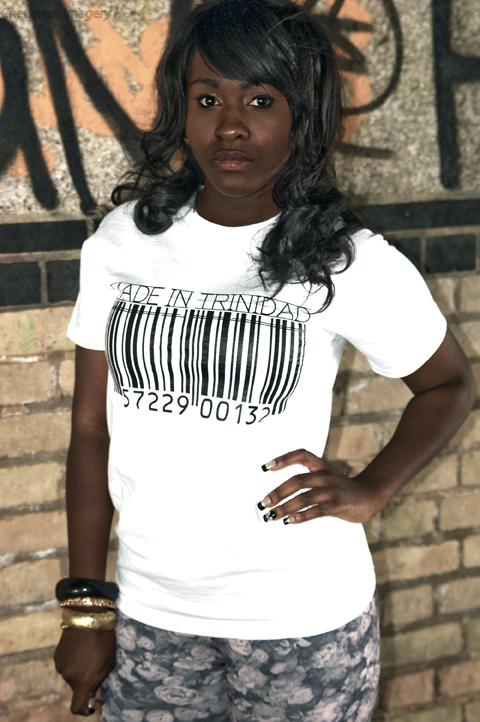 This is what she wrote about the Rebirth: “Cleo started Clee Clothing aged 16 with no solid plan but lots of ambition. Fast-forward 2 years; Cleo paused, and realised how unhappy she was with what her project had become. Her lack of business understanding had led to a lack of brand value, meaning and direction. What was Clee Clothing, and what did it want to be? Cleo relaunched Clee Clothing under “The Rebirth” because, as a Phoenix is reborn out of the ashes of itself, so was Clee Clothing. The first collection under ‘The Rebirth’ is broken into 3 stages: Lost, Trust and Unrestricted. What if the end doesn’t justify the means? Something you could prove which you’d like to share? Dealing with thousands of sharks feeling around in the dark. Bottom line is that you’re lost. I recently saw one of her designs that came from the theme of Lost. It is Lost Forest, a beautiful black white and grey T shirt that is really a work of art.